Secret Wars has been humming along rather nicely. I’ve charted the path to there through Jonathan Hickman’s Avengers/New Avengers runs, and then he went and did something I really wasn’t expecting. He showed us the scarred face of Victor VonDoom. I’ll have it after the cut. Big time SPOILER WARNING HERE. So, this week’s Secret Wars basically revealed a rough outline for how Battleworld came to exist. 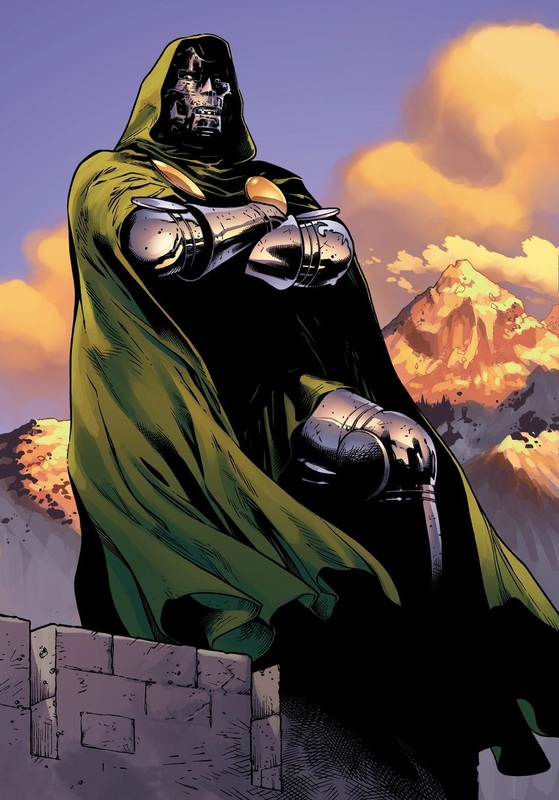 Dr. Doom managed to save a few realities from the total destruction of the multiverse by somehow becoming a god and forging Battleworld from various timelines and dimensions. But the face reveal? That’s a big deal. See, Doom’s face has never been seen in its fully-scarred form. There’ve been flashbacks showing what he looked like before his various accidents, and various incidents where other characters within the Marvel universe have seen his face, but never the reader. It’s been that way since the character first appeared way back in Fantastic Four #5 in 1962, which was 53 years ago, or 26 in #JennyMath. But now we can finally see it. Despite his godlike power, it seems Doom still can’t fix his face. That’s not too bad all things being equal. By the way…the hand of the person comforting him belongs to Susan Richards. Reed is going to be a bit upset when he finds out.